To keep pace with changing conditions, the University underwent continuous change in this period. This is where the first lady president of the University was appointed and the first University president to undergo a selection. Establishment of the Research Center for Peace, Justice, and Democracy. Inauguration of the new four-storey three-wing University Library. Granting of teaching and research chairs in Management by the Personnel Management Association of the Philippines. Publication of five Open University modules, Sinag of the CAS, IC Balita, Student Handbook, LBEC Handbook, RIPE monographs, STRDC monographs. Signing of MOA with Palawan National Agricultural College, Quirino State College, and University of Southeastern Philippines for the offering by the University of Master of Educational Management. Offering by the Pamantasang Bayan of vocational / technical and baccalaureate programs in 25 municipalities. Signing of MOA with Bataan Shipyard and Engineering College, Inc., which agreed to become a training station of the College of Engineering, PUP Bataan. Start of construction of Mass Communications Center of the Philippines Building. Retirement of Dr. Nemesio E. Prudente, designation of Dr. Zenaida A. Olonan as Officer-in-Charge. 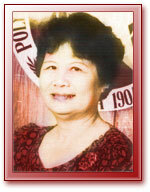 Appointment of Dr. Jaime Gellor as Acting President (April 3 - July 3, 1992), which created confusion. 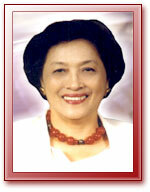 Appointment of Dr. Zenaida A. Olonan as first lady President of the PUP. On October 11, 1997, Pres. Fidel V. Ramos conferred his support for the computerization project of the University. The former Bachelor in Information Technology (BIT) was revised as Bachelor of Science in Computer Science (BSCS) while the Bachelor in Computer Data Processing and Management (BCDPM) was improved and became Bachelor of Science in Information Technology (BSIT). The PUPWebSite Project was changed to PUPWebSite and it served as the official Internet site of the University. It formally launched on January 27, 1998 in GeoCities.com. On August 1998: Pres. Joseph Estrada visited PUP during its "Linggo ng Wika" Celebration. During that time, his Excellency conferred his support for the construction of theInformation Technology Center of the University. A series of infrastructure projects started on this year spearheaded by the Special Projects Office. The University celebrated its 95th Foundation Anniversary with the theme: "Sandaang Taon Para Sa Pilipino, Panimulang Pagdiriwang" (One Hundred Years for the Filipino, The Beginning of the Celebration). This is the first of five countdown celebrations to the University's centennial. The computerization program of the University that spearheaded the creation of new offices - the PUP Information Linkages Systems (PUPILS, headed by Prof. Rosicar E. Escober) and PUP Information Technology Center (PUP IT Center, headed by Prof. Mely R. Luya).